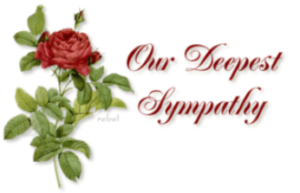 To the Holton family upon the death of Don, our prayers for Patty and the family. The Hulst family has our deepest sympathy for the passing of our dear friend Jean. May God comfort them as they mourn and heal.